i knew the pressing was not good, i also listened in the store before buying it, wish it would be better; but the music is so good and so the pictures & packaging are; will get black vinyl if i find sometime but will not give up on this. 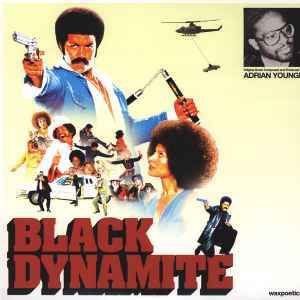 big fan of adrian younge. too bad i didn't read before purchasing this record. now i'm salty as hell. its like i'm listening to a bowl of rice krispies for the first 3-4 minutes of side A. same sound quality on side B that gets EXTRA bad towards the end. picture disc or not.... audio quality like this is totally unacceptable. Bad pressing with lots of clicks, pops and crackles! Keep your hands away! Low quality pressing, lots of background noise, shame, music is top!